Ri Sol Ju (Ri So’l-chu; Yi Sol-chu) is the wife of DPRK supreme leader Kim Jong Un and the mother of his only known child, daughter Kim Ju Ae (Kim Chu-a’e). Ri has made a number of public appearances as the country’s de facto first lady. Her first observed appearance in DPRK media occurred during Kim Jong Il’s funeral in December 2011, when she was spotted crossing a queue of senior of DPRK officials. Attention to Kim Jong Un’s marital status to Ri was renewed in July 2012 when she was observed seated next to him at a concert by the Moranbong Band. On 25 July 2012 Ri was identified in DPRK state media as Kim Jong Un’s wife when she attended the opening of a recreation facility on an island in Pyongyang. Ri is the granddaughter or great-niece of Ri Pyong Chol (Ri Pyo’ng-ch’o’l), the senior deputy director of the WPK Munitions Industry Department and former head of the Korean People’s Army [KPA] Air and Anti-Air Forces. She is a graduate student of Kim Il Sung University and was born in Ch’o’ngjin, North Hamgyo’ng Province around 1984. Her father is a KPA Air and Anti-Air Forces commander. Kim Jong Un married her in 2009 or 2010 prior to his formal designation as Kim Jong Il’s successor. According to one account, she was rigorously vetted and matched with KJU by his aunt Kim Kyong Hui and her husband Jang Song Taek. Following a courtship period, KJU selected her as his fiancee, which was approved by Kim Jong Il. 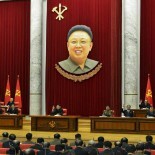 Ri Sol Ju’s first observed appearance in DPRK media occurred in December 2011 during events held around Kim Jong Il’s funeral. As senior members of the DPRK leadership queued up to bow at KJI’s casket bier, Ri was seen in Korea Central Television [KCTV] footage emerging from an area used by members of the Kim Family then crossing in front of Jang Song Taek. Ri was not observed in DPRK media until February 2012 when members of the DPRK leadership visited Ku’msusan Memorial Palace of the Sun (where KJI and his father lie in repose) to commemorate KJI’s birthday. Ri stood in a queue next to KJI’s last known consort and technical secretary Kim Ok.
Ri Sol Ju made several unannounced appearances in Pyongyang with Kim Jong Un in the summer of 2012. 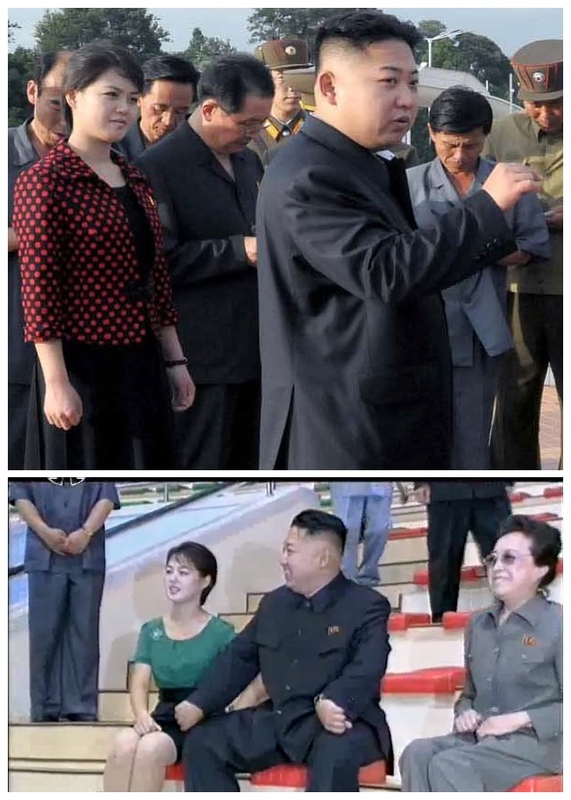 In July 2012 DPRK state media reported that “Kim Jong Un and his wife Ri Sol Ju were present at” the opening ceremony Rungra Island People’s Pleasure Ground. After her public introduction, Ri went on to attend a number of her husband’s on-site visits and military inspections. In November 2012 she began exhibiting signs of pregnancy. Since giving birth between December 2012 and January 2013 the number of her reported public appearances has reduced. According to South Korean media, Ri Sol Ju is a singer who performed with the U’nhasu Orchestra and might be a former member of the Ministry of State Security’s [MSS] art propaganda squad. Kim Jong Un’s first reported public appearance following his massive public debut as successor at the 3rd Party Conference and a photo-op was his attendance, with his father, of an art performance by KPA Unit #10215, a unit of the MSS. Ri reportedly participated in a tree planting event with South Korean students in 2003 and attended an athletic competition in Inch’o’n in 2005 as part of a cheering section. She also traveled to Fukuoka, Japan, with a DPRK music group in July, 2002. Initial speculation about the identity of Kim Jong Un’s wife pointed to a woman named Hyon Song-wo’l (a.k.a. Han Song-wo’l). Hyon was a member of the Poch’o’nbo Electronic Ensemble in the early 2000s. She first met Kim Jong Un in 2002 or 2003 and they allegedly had a relationship until 2006, after which Hyon married a member of the Guard Command with whom she reportedly had a child in the spring of 2012. According to some South Korean sources, Kim Jong Il opposed his son’s relationship with Hyon and the couple split up. After KJI passed away in December 2011, Kim Jong Un earnestly resumed his relationship with her. It is not clear why Hyon would have changed her name, however there are reported incidents of Kim Jong Il changing the names of members of the “joy brigades” and Cadres’ 5th Section. KJI’s long time consort and Kim Jong Un’s mother, Ko Yong Hui, was identified in an official documentary film under the alias Ri U’n-sil. Defectors in South Korea, who knew Hyon, have said that she is not the woman who has been seen with KJU in images released by DPRK state media.